This is one of my favorite pages so far, tho I think it took a little longer than normal. They aren't really dinosaurs, just dino-like creatures. 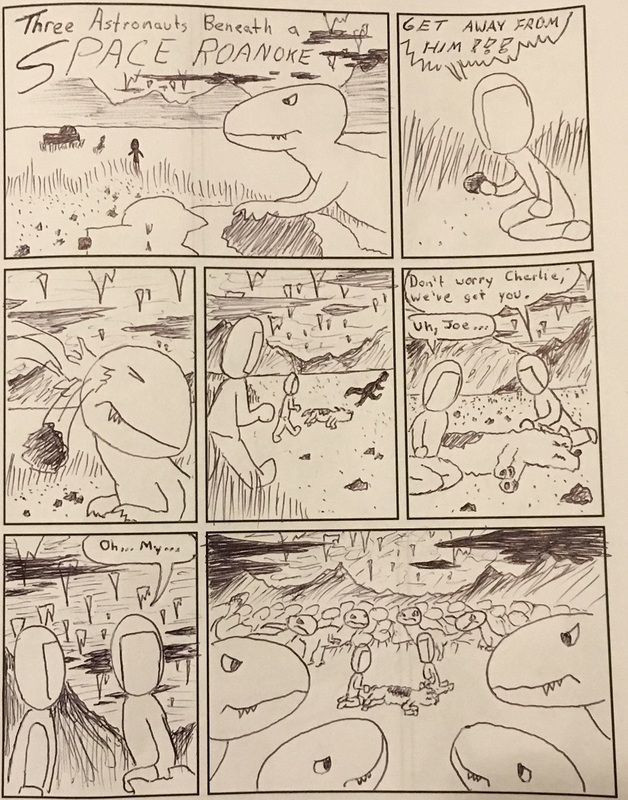 Spent a year or two working on an unpublished comic with dinosaurs, so they were relatively easy to draw.